Larry Allen Wilhite, 72, passed away unexpectedly in his sleep on Sunday, September 3, 2017, at his home in McCall, ID. Larry was born in Star, ID, on March 21, 1945 to Kathryn (Hadley) and Walter Wilhite, joining older brother Wally and followed by younger brother Dave. Larry grew up in Star working on his uncle's farms and fishing and hunting with his brothers and cousins. He loved sports and played football and basketball in his high school days and gave lots of free, private coaching to his kids as they grew up. He was also a volunteer coach for the Greenleaf Friends Academy football team for several years. In later years, he was an avid fan of the Boise State Broncos football team. Larry went to local schools in elementary school and started high school at Shadle Park High School when his family moved to Spokane, WA. The family later moved back to Star where Larry graduated from Greenleaf Friends Academy in 1963. He married his high school sweetheart, Bonnie Hash, in March 1964. Larry and Bonnie were married for 33 years and were later divorced. Larry enjoyed raising their four children, being involved in school activities, sports, plays, and church activities together as a family. Larry loved hunting and fishing and shared this with his family whenever possible, McCall being a very special destination for that. He was a devoted father and much loved by all his children. He started work in construction as a young husband and father, moving on to Dairymen’s Creamery in Caldwell, ID for a time, and then to Allstate Insurance, where he became a very successful agent. Larry enjoyed several careers over his lifetime, but found his greatest work satisfaction and success in fundraising and planned giving for nonprofit organizations. As a Development Director, he worked for national organizations such as Liberty University (Dr. Jerry Falwell), The Nature Conservancy, and The Salvation Army, as well as local non-profits such as St. Luke’s Foundation, The Children’s Home of Boise, and Greenleaf Friends Academy. In 1983, he was awarded an honorary doctorate in business administration from Liberty University for his expertise in planned giving. Larry met Eloris Rogers Chisholm on the edge of Payette Lake on July 7, 2006 and they were married one year later on July 7, 2007. They spent their honeymoon in Scotland and had a life filled with love and laughter. He was a wonderful mentor and father to Chad Hunter Chisholm, from childhood to adulthood, and they became the best of friends as father and son. Larry and Eloris shared many interests, co-founding NorthWood Buffalo Ranch with elk hunting and fishing on their ranch, foraging for wild herbs, and creating a lovely ranch home filled with love and laughter. Their business became locally famous at the McCall Farmer's Market for all the buffalo meat and smoked salmon Larry prepared. He was the love of Eloris and Chad's life and the life he shared with them will be sorely missed by them as well as all who knew him. Larry was preceded in death by his parents, Walter and Kathryn Wilhite, and his brother, Wally Wilhite. He is survived by his wife, Eloris Rogers Wilhite of McCall, ID; his former wife, Bonnie Hash Wilhite, of Nampa, ID; and his brother and sister-in-law, Dave and Linda Berry Wilhite of Boise, ID. Larry is also survived by his stepson Chad Chisholm of McCall, ID; daughter Shelley Wilhite Robertson and her son, Evan, of Nampa, ID; son and daughter-in-law Jeffrey and Rebecca Webb Wilhite, and their daughter, Emma, of Greenleaf, ID; son Jay Wilhite and his fiancée Nikole Pearson Calder, and her children, Lizzi and Gabe, of Boise, ID; and son Andy Wilhite of Daytona Beach, FL. 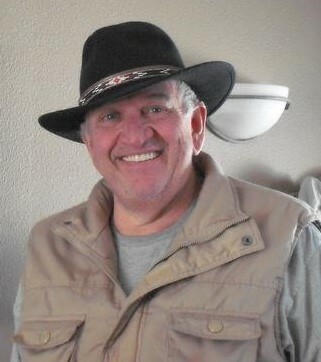 Larry also leaves behind numerous beloved cousins and extended family members across Idaho, Oregon, and other states. A service for all friends and family will be held at at 12:30 p.m. on Sunday, September 10, 2017 in Heikkila-Carver Funeral Home in McCall, ID. The service will include a time for sharing thoughts and memories celebrating Larry’s life. Interment will take place at the McCall Cemetery at a later date. The family will also hold a memorial service in the Treasure Valley area for all friends and family at a later date. We, his family, love him dearly and he is greatly missed. Arrangements in care of Heikkila-Carver Funeral Home, McCall, Idaho.